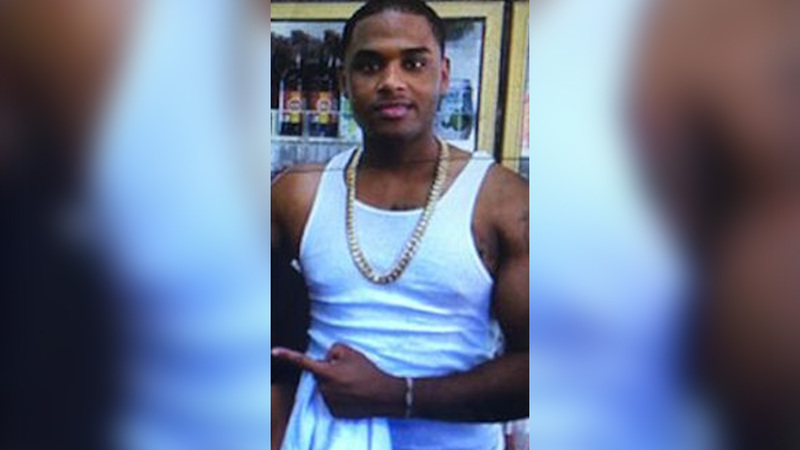 NEW YORK CITY (WABC) -- Police have arrested a gang member with a long arrest history who was wanted in connection with a murder in the Bronx and shooting in Manhattan. Ruben "Chullo" Pizarro, 23, was taken into custody Tuesday. He has been arrested 23 times, several of those for attempted murder, but he was able to beat the charge each time. Police said Pizarro fatally shot 24-year-old David Rivera in broad daylight along Crotona Park North in the Bronx on November 24, which was the result of an ongoing dispute. "Our homicide occurred at 9 o'clock in the morning in front of a daycare center, where the backdrop in the actual where he was shooting and committed the actual homicide was the wall to daycare center," Gibson said. Then, on New Year's Eve, they say he jumped into a Ford van parked on Sherman Avenue in Inwood, pulled a gun on the driver and ordered him to take him to his target. He allegedly held onto the driver's license, debit card and other identification to ensure his victim's compliance. According to authorities, he found his target -- a 29-year-old man - on Elwood Street and opened fire. As he fled, he allegedly stole the man's bag, which held a PlayStation 4. The victim survived the shooting and reportedly told detectives he did not know why he was targeted by Pizarro. Pizarro is accused of forcing his carjacked driver to take him up to the Bronx, where he finally let him go. Another caught-on-camera incident happened in May of 2013, when police say he pulled out a gun and fired seemingly at random. Stay with abc7NY for the latest on this developing story.